Do you have a dream? 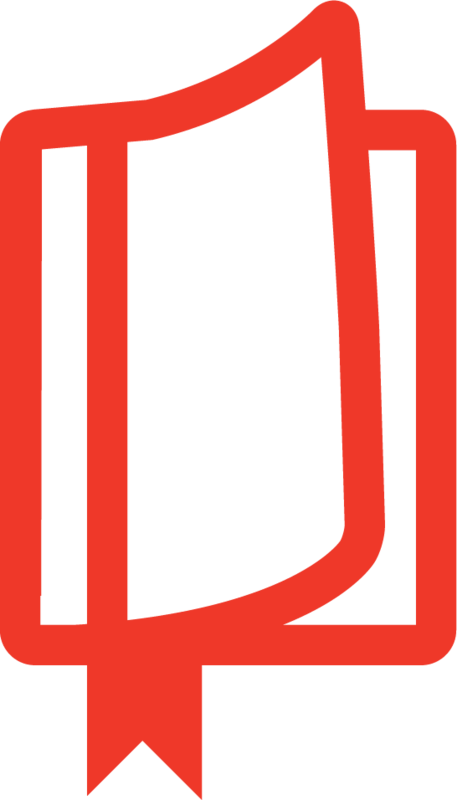 Do you have a creative idea stirring within you to do something different or start something new? If so, you're not alone. Many people have God-given dreams but don?t know how to discern what they are and develop them into something real. Most of these dreamers aren't business people or experienced entrepreneurs. They're just sincere Christ-followers who need a spiritual and practical guide to help them realize their dream—whether it be to start a new ministry, non-profit or business, or even the vision to begin a new lifestyle. Drawing from her personal experience and the stories of fifteen others, spiritual director Beth Booram has written this companion guide for those who wonder if they have a God-given idea but don?t know what to do with it. Interviews from people like Chris Smith, Phileena Heuertz and Randy Reese who have courageously embraced a God-prompted idea are included with each chapter to add further vision and insight. Carefully designed exercises at the end of each chapter will guide and provide practical support for those who are on the spiritual journey of identifying and acting on a God-given dream. 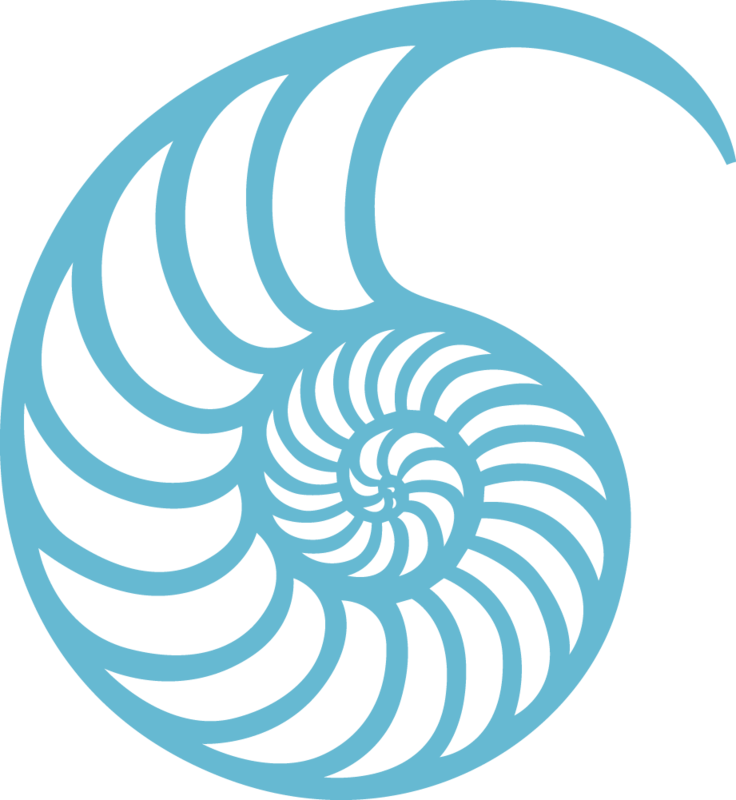 By the end, you will know that one of the privileged tasks of life is to discern, shape, birth and sustain something new. "Most dreams go unnoticed or ignored and quietly die. Others are noticed but not adequately nurtured, meeting the same end. Yet the God of superabundance continues to knock at the door of our intellect, desire and imagination, inviting us to participate in the restoration of all things. So what a remarkable gift to have such a wise woman, steeped in the realities of dream-birthing, provide us with reliable ways of noticing, nurturing and birthing the very life of God into this world! Beth Booram has given us a healthy incubator, and I light up when I think about the unaccountable good that many thousands will receive from the dreams that are made incarnate through this book!" "As a huge proponent of the importance of dreams and an even larger advocate for the ministry of spiritual direction, I quickly became a fan of this terrific book on both topics! Thanks to Beth Booram for writing such an inviting text for all who wish to discern their God-given dreams." "Starting Something New is a refreshing book of wisdom that promises to support anyone who is daring to let a dream take hold of their life. With engaging insight Beth Booram offers the best of spiritual direction to help us discern God's creative work in and through us and find the courage and boldness to live the dreams stirring in our heart." "This new book by Beth Booram is a wonderful gift to all of us who dare to dream but are unsure what to do with those dreams. . . . Immensely practical, it will walk you through the process of nurturing dreams within a climate of spiritual discernment. Hold this book in one hand and your dream in the other and watch as the Spirit leads you forward!" "God is up to something good in our lives, requiring a prayerful work of paying attention. 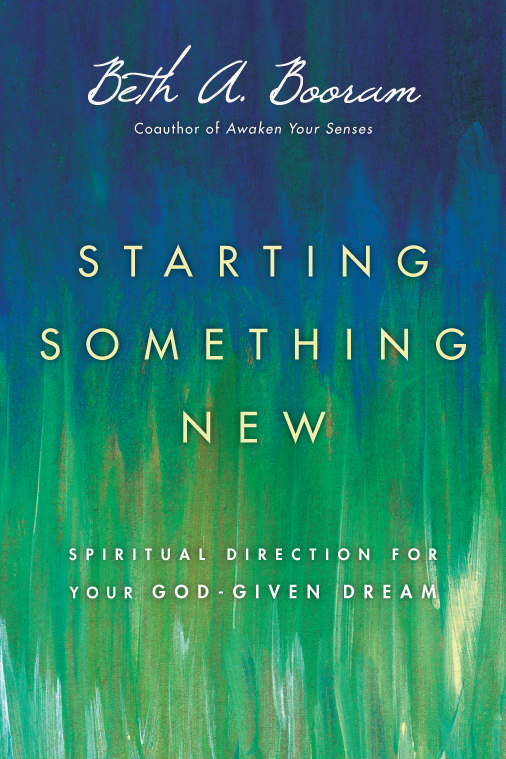 Starting Something New is a timely resource for those seeking discernment and guidance for the secret stirring within that just won't go away. Beth Booram offers both inspiration and wisdom through her own story and the stories of those who trusted the Spirit's stirring to follow after their own God-given dreams. Whether you are seeking direction or providing it for others, Starting Something New will help set people on a path they were meant to follow after." "Booram weaves in the stories of her directees and a number of other people she interviewed. These stories, not only of success but also of the challenges during the different stages of birthing of a large leading, are helpful and instructive, especially when considered alongside the suggested journaling exercises at the end of each chapter." "If you ever have felt as if a new idea or dream was stirring inside of you, but you couldn't tell whether it was yours or God's, Starting Something New may be exactly what you need. . . . This book would be perfect for youth pastors/leaders who are feeling as if God is calling them to do something new within their ministries. Warning: You are going to want a lot of time to process this book and may benefit from having the involvement of a spiritual guide or mentor." "A thoughtful aid for the discernment of one's call, this book will be especially helpful for those considering a new dream. It will give you some guidance as well as courage to take a risk on the dream of God that is coming forth from you." "Read this slowly and reflectively. The stages of discernment and growth Booram describes can spread out over many years. Let this be one of many companions in discernment throughout the long and joyful journey of starting something new." Beth A. Booram is the cofounder and director of Fall Creek Abbey, an urban retreat center in Indianapolis, where she and her husband David lead The School of Spiritual Direction and offer individual and group spiritual direction. 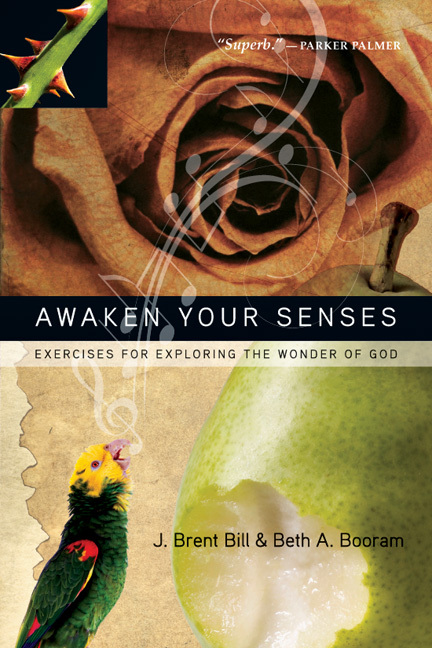 She is the coauthor of Awaken Your Senses and the author of several books including Starting Something New, Picturing the Face of Jesus, and The Wide Open Spaces of God. Beth is a deep feeler who loves to think, an extrovert with a penchant for solitude, and an artist who sees the hand of God in even the smallest encounters with creation. 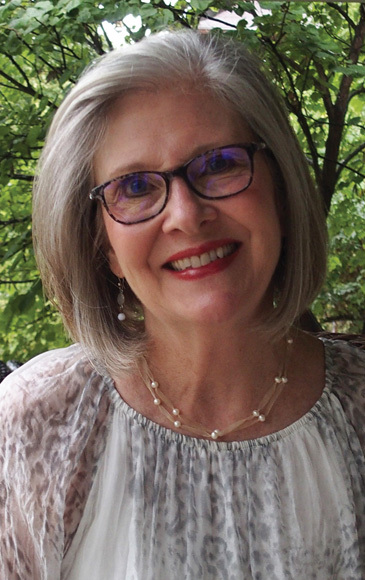 She speaks around the country on topics related to spiritual formation and Christian leadership and has been involved for more than thirty years in a variety of ministry roles on the college campus and within the local church.